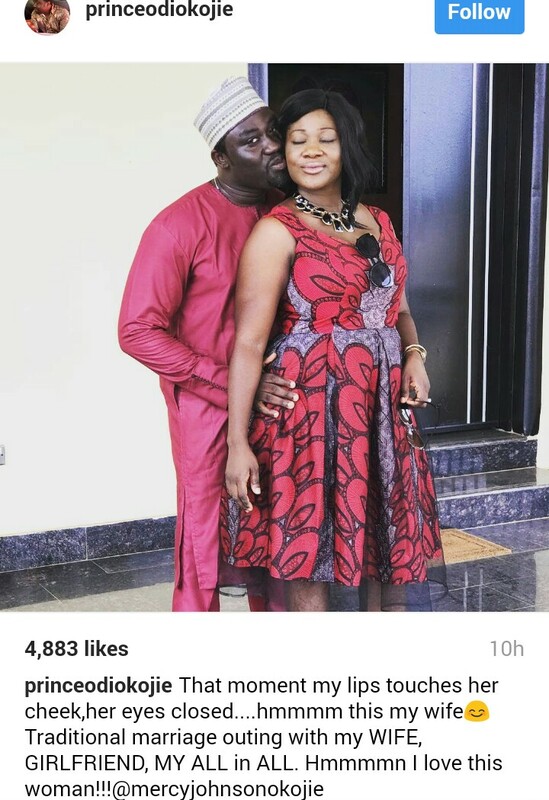 The love and connection between Mercy Johnson Okojie and Hubby keeps blossoming by the day, one cannot help but admire these two great couple on social media. "That moment my lips touches her cheek, her eyes closed....hmmmmn this my wife traditional marriage outing with my wife, Girlfriend, My all in all I love this woman!!! @mercyjohnsonokojie"